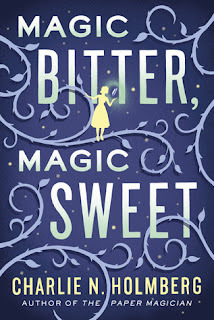 I went into Magic Bitter, Magic Sweet with pretty high expectations. I love Holmberg's other books, so I picked this one up rather blindly without even truly knowing the plot. I knew magic and cake were involved, so it seemed like a win-win to me. Unfortunately, it left a good bit to be desired. I thought I enjoyed the book as a whole, but when I looked back and tried to pick it apart... I realized I actually didn't like it that much. The main character is a little odd, and the plot is confusing and flat. Maire, the main character, does not remember her past. 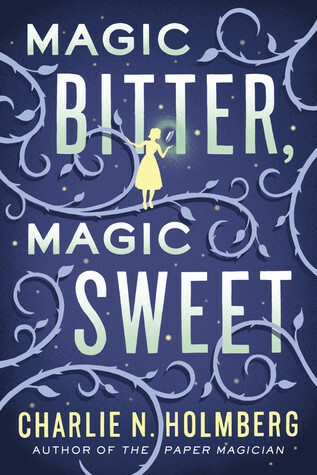 She is kidnapped and forced to build cake houses and cake children, but that is kind of where the plot ends. The book felt very drawn out in certain places and then it felt very rushed in others. I couldn't quite get a hold of the point of the story. Now, it's not all bad. Holmberg's creative writing is gorgeous, as always. It has a fairytale feel to it and the imagery of all cakes and sweets Maire creates will leave you drooling over the pages. Holmberg totally kills it with her creativity and gorgeous words, but the story as a whole didn't hit the mark. Overall the story was beautifully written, but it just didn't pull me in like I wanted it to. It is not high on my recommendation list, but if you enjoy Holmberg's other stories, you should at least give it a shot.